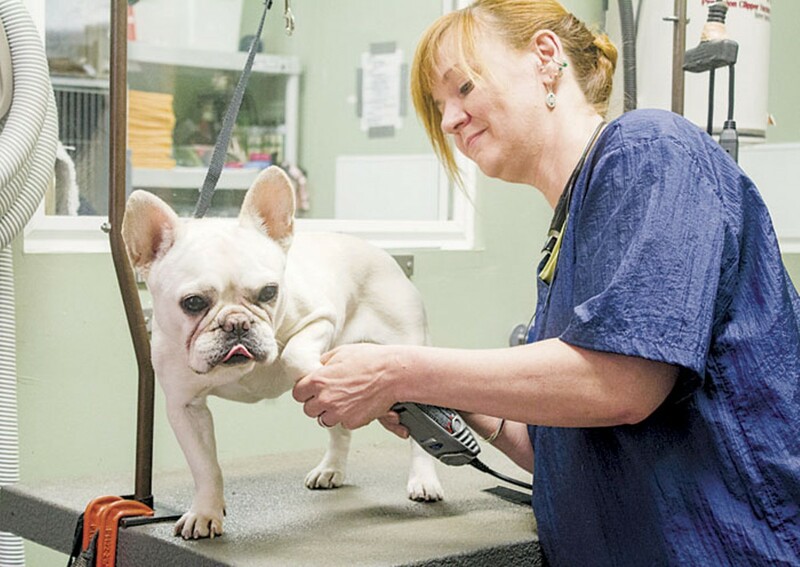 Groomer Crystal Rolfe attends to French bulldog Collette at Four Muddy Paws. You can get just about anything your dog could ever desire at Four Muddy Paws, the surprisingly large storefront boutique that has flourished on Lafayette Square since 2007. (There's also a second location in Edwardsville, Illinois.) There are toys and games, tasty raw foods, even stylish clothes if your mutt is into that sort of thing. But the reason we've become regulars here has nothing to do with what our dog wants — and everything to do with the thing he'd most like to avoid in life: grooming. The staffers at Four Muddy Paws are gentle with even the most troubled dogs, soothing them with soft voices as they clip away at the most sensitive areas. They even handle puppies. Is your dog into spa days? You can also bathe him yourself; prices start at just $12. 1711 Park Avenue, St. Louis, 63104. 314-773-7297, www.fourmuddypaws.com.